Hoi An Garden Palace Hotel & Spa is placed in Hoi An city where is distant the Chinese Assembly Hall about 2 km. Facilities of this place include spa and fitness center and sun terrace especially tourists can enjoy drink at bar. This place also provides free wifi access in the whole campus and parking spot. Each room in resort is equipped air conditioning and flat-screen TV. Some of them has lounge so that tourists feel as convenient as possible. The highlight of some rooms are to overlook the views of swimming pool, garden or city. 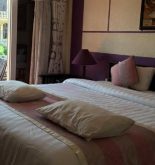 What is more, each room is attached private bathroom as well as is provided bathrobe and slippers. The wonderful thing is that tourists are able to enjoy a free spa everyday. At Garden Palace Hotel, tourists will be provided free shuttle and bicycle rental service, 24 hour reception, private beach area. Moreover, everyone can also take part in countless activities in surrounding areas like cycling and fishing. 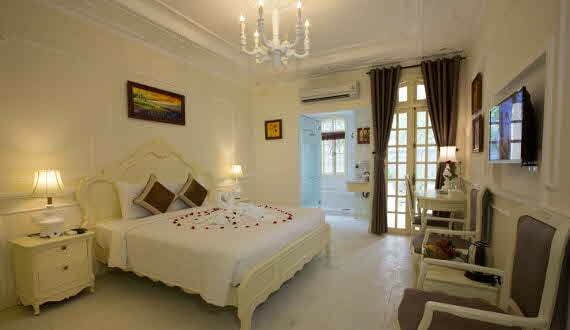 Hoi An Garden Palace hotel & Spa is placed within a radius of 2,1 km from Hoi An Museum of History & Culture. Likewise, tourists can also come the Assembly Hall of the Hainan Chinese Congregation within 2,1 km. The nearest airport is the international Da Nang airport where is distant 24 km. Also, Cam Chau is the great selection for lovers of cycling. Address: 311 Cua Dai St, Hoi An, Quang Nam, Vietnam. This information has been supplied by Garden Palace Hotel & Spa.